Located in Himachal Pradesh, is the beautiful valley of Manali. Manali is known for its excellent resorts, calm atmosphere and relative ease in navigating through its toad. Having the best of nature, it is one place everyone wants to be especially love birds and those who appreciate nature. With this, you might have been, or just nurtured a desire to want to come see Manali for yourself. Then, you have to know what and where the Best Hotels in manali to lodge are. This hotel offers to its guests and 3-fold package, which includes total comfort, luxury at its best and exquisite style. Known for a high level of decorum and tranquility, the Anantmaya resort offers a number of beautiful designed and furnished guest rooms, a private balcony, each room with basic facilities to assure comfort and a 24 hours steady power supply as well as a wireless internet connection. 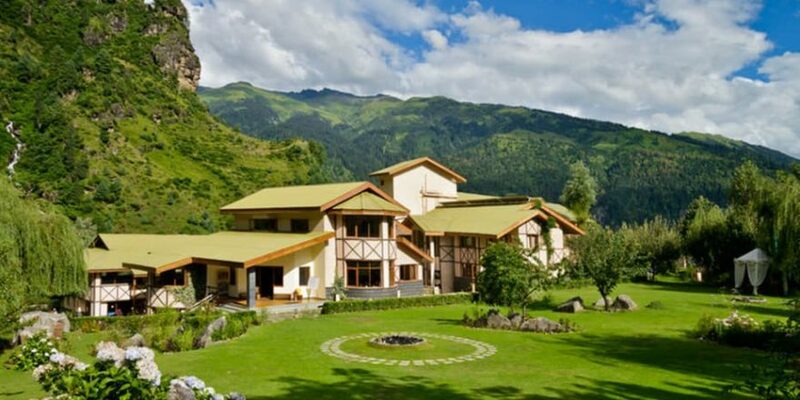 Regarded as one of the best hotels to lodge In Manali by all and sundry, the La Risa Resort is the best choice for one planning on a minimal budget but still seeking comfort and excellence in the relaxation services offered. Being located around the majestic mountains and lush greenery, this hotel gives you access to the best places in Manali. Each room is furnished with a king size bed, a mini reading table and a tiled bathroom. Sometimes you might want a hotel that offers more than accommodation facilities, it might be that you also need some spa facilities. If this is you, then the best hotel you should be looking to lodge offering these services is the Span resort and spa. Not only is it an exotic hotel in Manali, it also offers one of the best spa treatments you can find anywhere around Manali. It might be that you want something more than just where to stay, maybe you love adventure as well. Then, the Himalayan Brothers Adventure which doubles as a five star hotel as well as an adventure is the best place for you. With a location that means you can have access to the best view of notable locations in Manali, this hotel is known for its very spacious and we’ll furnished rooms as well. When you think about a vacation to Manali, think beyond the places you will go to, and the people you will see, make sure you take into consideration the hotel you plan on lodging. A good and well-furnished hotel, can mean that you don’t have to go all out looking for the fun Manali has to offer. You can sit in, and have all of it come to you.